The Fenix HL15 headlamp is designed with the runner in mind. 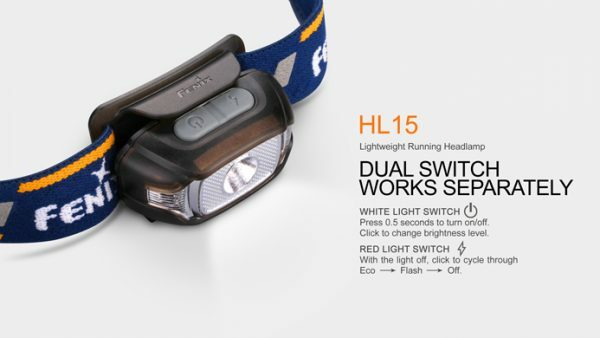 This headlamp is equipped with a reflective headband that directs sweat away from your eyes, a neutral white LED for better color rendering and two red LEDs for better night vision or to use as a flashing alert. 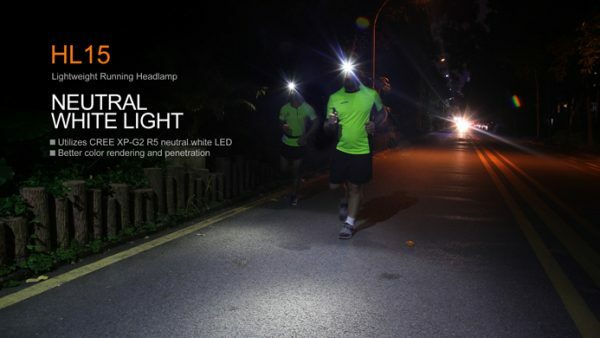 Protected by its IP67 dustproof and water resistance, and powered by two AAA batteries, this light-weight headlamp is perfect for running on the road in any condition. When the lamp is on, single-click the power switch to cycle through Low→Med→High→Turbo. 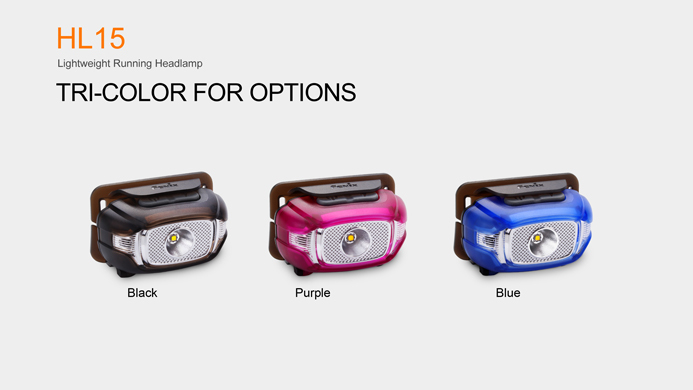 The headlamp memorizes the last-used brightness level in the General Mode. The next time it is turned on, the previously used brightness level is recalled. Single-click the switch to switch on the red light, single-click once again to activate the red flash, another single-click to turn off the red light. 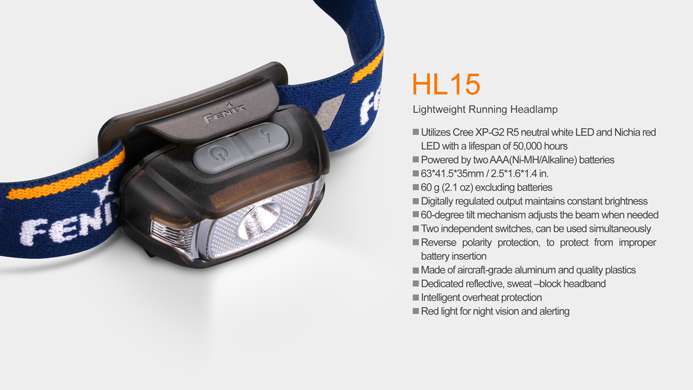 The headlamp will accumulate a lot of heat when used at high output levels for extended periods. Take care when touching the lamp surface. 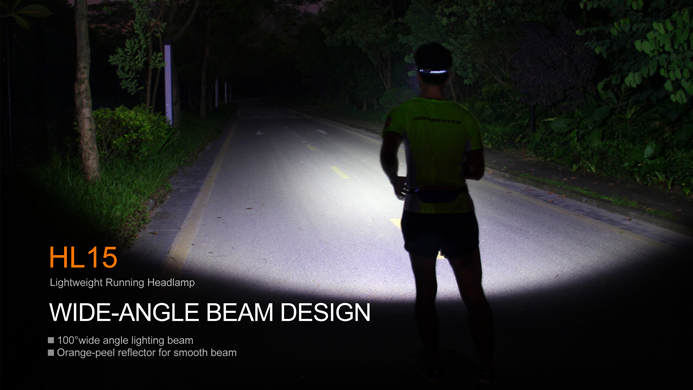 When the lamp reaches a temperature of 65℃ or above, the lamp will automatically step down by a few lumens to reduce temperature. When the temperature reduces, the output will return to previously selected output level. If the headlamp will not be used for an extended period, remove the battery, or the headlamp could be damaged by electrolyte leakage or battery explosion. 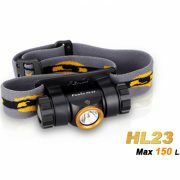 Lower the holder to 60°angle, and press the joint of the holder and the headlamp with the thumb. Grasp the buckle hole with the thumb of the other hand then pull up. 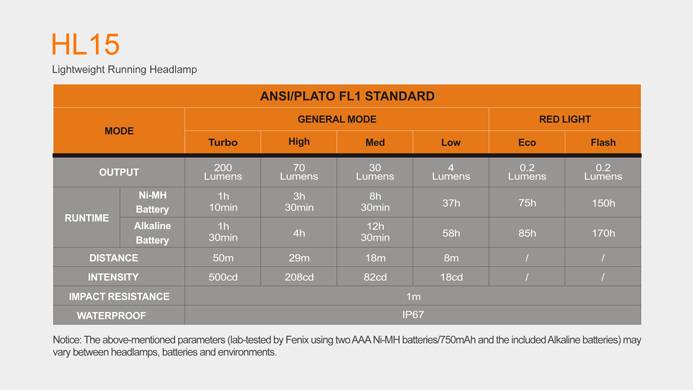 Insert the batteries in accordance with the polarity mark, and close the battery cap. Step 1: Attach the head strap to the headlamp as shown by first sliding the band down to the bottom of the slot, then hooking the top edge under the top slot. Step 2: Slide the plastic buckle to adjust the headband. 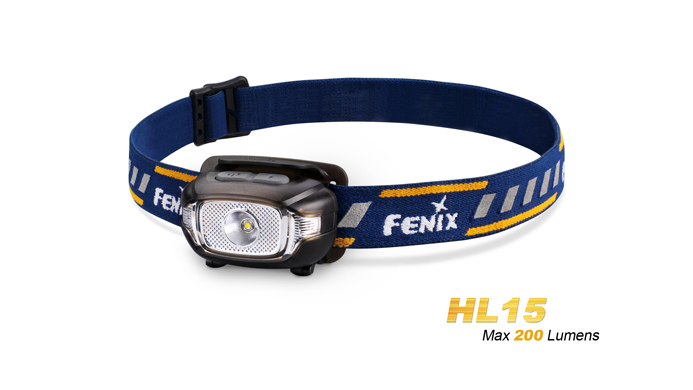 Fenix strongly recommends using high-performance Ni-MH rechargeable batteries to get most out of this high-power headlamp. 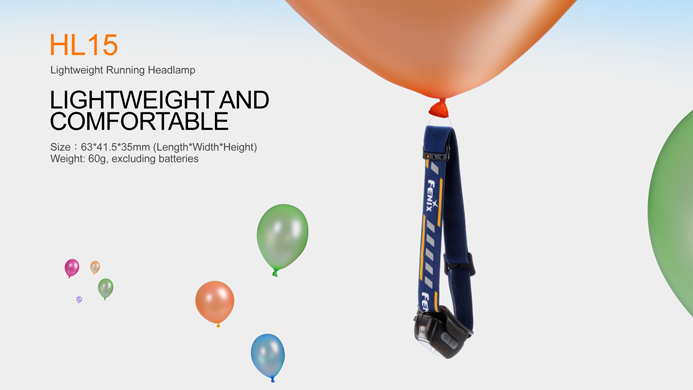 A: The batteries may need replacing. B: The threads, PCB board contact or other contacts may be dirty.